We’ve had an appeal from BBC Radio Devon. They want to hear from people in Devon who have been having trouble with the Child Support Agency. If you live in Devon and the CSA has been ruining your life, get in touch with Kirk England from BBC Radio Devon now and your story could be featured on the radio. They want to run the feature this week, so get in touch before Friday June 29th. I’m researching a story on the work of the Child Support Agency for BBC Radio Devon. I’m interested in several issues – including people being disqualified from driving OR facing jail – because of a dispute over late child maintenance payments. Are you in Devon and have been affected by this …? Perhaps you are in a dispute with the CSA over outstanding payments …? If you are happy to speak to BBC Radio Devon please get in touch. We need to hear from people as soon as possible as this story is for broadcast on Friday 29th June 2012. For parents with care, trying to get payments out of their ex partners, one of the most difficult things can be dealing with the Child Support Agency – especially if their ex is self-employed, or manages to evade the CSA. The CSA tends to only chase payments when the NRP is in employment under PAYE, so they can use a DEO to retrieve payment quickly and easily. They don’t like investigating, doing the leg work or chasing NRPs that make it difficult for them. So what can parents do if they’re getting no support from the NRP, and the CSA isn’t helping? This is the problem that faced Rebecca Jane, and she solved it by starting The Lady Detective Agency. Now Rebecca runs her own business helping other PWCs track down their exes and provide evidence of their earnings, lifestyle and living arrangements to ensure justice is done. Howard Blagbrough, an aide to Craig Whittaker, has advised a father to take out a loan to pay the CSA. The father asked for his MP’s assistance in getting his case reviewed, and this was the startling advice he received from the rather rude Blagbrough. Although I note from our records that The Child Support Agency have carried out various investigations given your circumstances. I appreciate that this has not resulted in a more positive outcome in respect of the money they are demanding you to pay, including arrears. As there is clearly nothing further the CSA are willing to do to assist your particular case, I have written to the Independent Case Examiner to see whether they are willing to investigate the matter independently from the CSA and provide you with some additional help. Anyone who has ever dealt with the Child Support Agency will not be in the least surprised by this latest story of deceit, fraud and theft from the CSA. 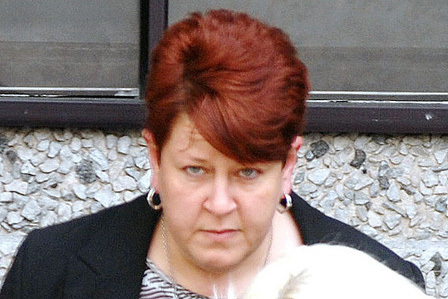 Child Support Agency worker, Clair Jones, who is supposed to help parents with care receive money from non-resident parents for the upbringing of their children, has been jailed by Plymouth Crown Court for diverting money into her own bank account. We received an email from Laura Stevens from ITV. She wants to hear from families who would be better off on benefits after April 2012. Have a read of her email and, if you think you could help, drop her an email. We are looking to put together a programme about the Working Tax Credit Cuts for ‘Tonight’ on ITV1 where families working less than 24 hours a week will have them cut. It would be great if you could pass my details to any families who choose to go to work for all the right reasons but who would actually be better off on benefits from April 2012 – perhaps they pay for child care for their kids which is hugely expensive, they’d get their rent paid and other assorted benefits. Families who work because it’s the right thing to do and they want to set a good example to their children but who would be as well off if they didn’t work. If you could arrnage to contact Paul direct as per the details above with your stories. Whenever we think about how we, in the UK, have it bad when it comes to divorce we should spare a thought for our American cousins, and indeed the Brits who live under, and abide by, their laws. One such Brit is John Cleese who, had he lived in the UK, would have had to split his assets fairly between himself and his ex wife and they pay a percentage of his earnings to the CSA for the upkeep of his children. In yet another move to attempt to repair the Child Support Agency’s tarnished image, the government is considering even more new ways it can tackle parents who don’t pay maintenance to their children. Under proposals, absent parents could have their driving licences and passports taken away from them if they refuse to pay maintenance. The government’s controversial decision to charge parents for using the child support agency to help them resolve their child support issues has been condemned by a select committee for the Department of Work and Pensions.